On the eve of the Super Wolf Moon, which many Americans can fully enjoy, the youngest female US Representative ever elected, who represents my district is developing into a Congressional bright star out of the incoming freshman class of lawmakers from a record-breaking number of women, people of color, and LGBTQ representatives. They’ve already begun to shake things up. This year’s elections appear to be changing Congress for the better. The midterm election was a @GOP disaster for a former group of House #Republicans. @TheDemocrats gained 40 seats and are now the majority, then selected Nancy Pelosi once again become Speaker of The House. The lawmakers were elected to stop Trump, and lead the effort for his impeachment and removal from office. These progressive Liberals are making waves, lead by my Congressional Representative Alexandria Ocasio-Cortez (D-NY), as they target obstructionist Republicans as well as some Democrats who may be way too moderate. She and her 2.42 million followers want to bring in fresh voices even if the stale voices may not agree. How did it happen? Exasperated Democrats try to rein in Ocasio-CortezThe effort is part carrot, part stick. But it`s far from clear the anti-establishment political novice can be made to play ball. 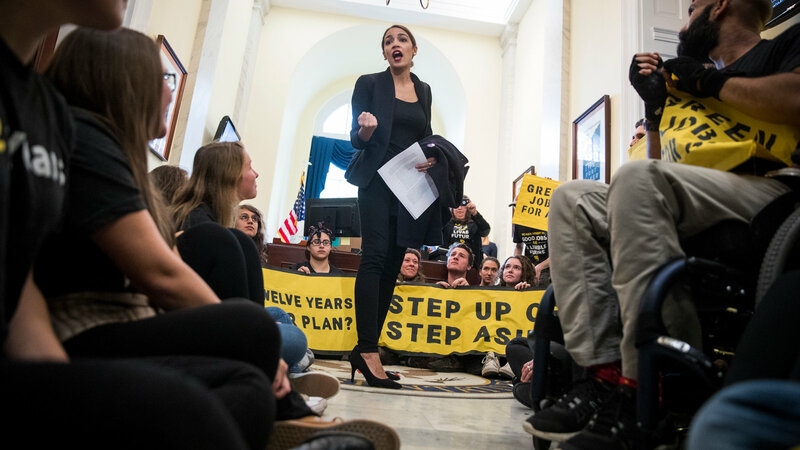 Representative Alexandria Ocasio-Cortez has forced party leaders and 2020 presidential candidates to grapple with left-wing proposals that some might prefer to avoid.